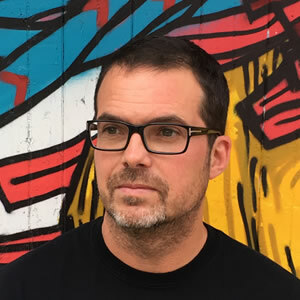 Matt Price has a new book about engagement organising – the process of building engaged and powerful networks full of leaders. Read Tom Liacas's review now. There is a lot of talk these days about the relative merits of organising and mobilising in campaign strategy circles. 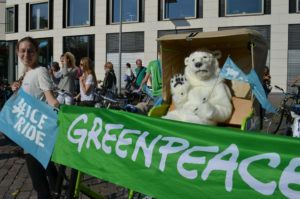 In these discussions, mobilising is understood as the practice of driving your base to take part in collective activities, such as signing petitions or donating online, with a focus on achieving good numbers. Organising, on the other hand, is the process of building deeper bonds with supporters and skilling them up to become leaders themselves. Though many advocacy organisations have put their energies into mobilising, analysts such as political scientist Hahrie Han and labor activist Jane MacAlevey remind us that without organising, the campaigns and movements we are building are on shaky ground. It is the painstaking work of organising person by person, they argue, that builds the robust base of engaged and skilled supporters needed to drive social change and political movements forward. Looking through the recent history of progressive organisations and movements, Price points out that most groups working for social change, including labor unions from the 1930s through the 1960s and community empowerment groups such as the Industrial Areas Foundation in the U.S., started building their organisations with ground up organising. Door to door canvassing and small-scale activation and recruiting meetings were commonplace. This lasted up until the advent of the “broadcast era” in the 1960s and 1970s. Then, mass mailers to huge membership lists became the norm. Thousands of members could be mobilised to donate or take simple actions at once though these new communications channels. The incentives justifying the hard work of organising individuals and building their capacity dropped away. We have become much better at mobilising in the digital age, Price points out. That is, campaigns excel at sending online calls to sign petitions, donate small amounts of money and focus pressure on corporate or political targets for brief periods of time. Organisations like the U.S.’s MoveOn.org and their global peers in the digital-first OPEN network have blazed the trail here. But over time, these repeated calls to action have hit a ceiling for these groups and some have found that heavy lifts and serious campaign wins are not possible through this kind of light engagement with their members. Resource-strapped organisations can find ways to mobilise significant numbers of supporters with just a few core staff. Most assume, however, that traditional and seemingly high-touch organising is beyond their means. Here again, the digital age has opened up opportunities for efficient forms of organising assisted by digital tools and networked communications that have made activating and managing remote leaders possible without great investments in staff, events and travel. 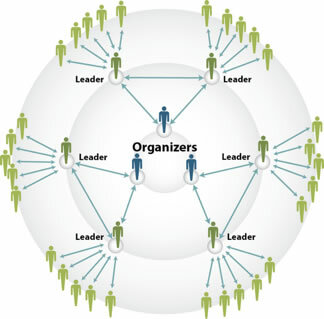 In Price’s view, this next generation of organising is distributed by nature, meaning that it follows a structure where core organisers train and activate remote leaders who, in turn, guide teams of supporters. To illustrate the distributed organising method, Price focuses on the ’snowflake’ model developed and promoted by Marshall Ganz, which was successfully deployed during the Obama presidential campaigns. Here, each remote leader is trained to take charge of 8 people. In the past, such models would have scaled slowly but with the support of digital communications, political campaigns such as Obama’s two races and Bernie Sanders’ primary race have managed to deploy distributed organising networks that involved hundreds of thousands of supporters. When groups combine the best of mobilising with new organising, a dynamic emerges that Price calls the “Engagement Cycle”. This cycle marries issue-framing practices with a distributed organising process and mobilisation moments. It is through this cycle that Price believes modern campaigners score their big wins. He illustrates the Engagement Cycle at work in the evolution of two Canadian organisations from a mobilisation-first focus to the practice of “engagement organising”. Seek to align your issue in a way that helps mobilise your base. Plan recruitment activities to find distributed leaders. Test your new organising approach as a pilot in one location. Adopt a clear organising model, like Ganz’s snowflake. Prepare resources to support remote teams and their leaders. 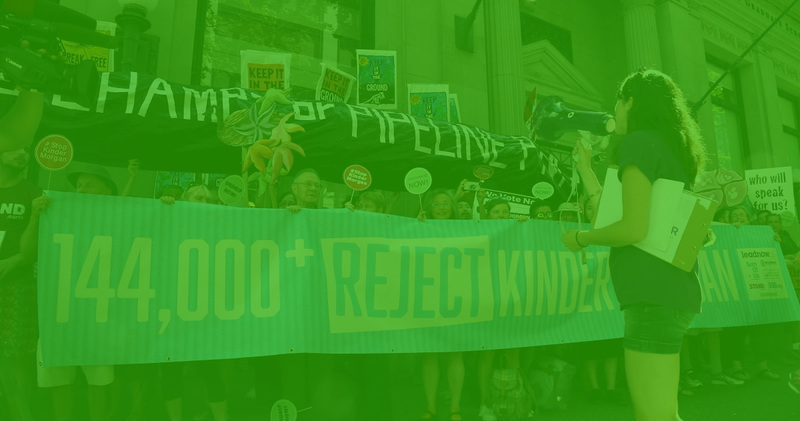 Canada’s Dogwood Initiative, active in the west-coast province of British Columbia, evolved from a forest issues advocacy group to focus on fighting tar sands pipeline projects in a series of popular mobilisation campaigns. Inspired by workshops lead by Ganz’s Leading Change Network, Dogwood began seeding remote teams in districts across the province to influence political support for Enbridge’s Northern Gateway pipeline. With 120 activated teams doing offline organising activities and a subsequent victory stalling the project, Dogwood decided to replicate the same distributed organising approach to target political candidates during Canada’s 2015 federal election. Thanks in part to their efforts, candidates with pro-pipeline stances lost in most of the province’s important races. Leadnow.ca, Canada’s foremost online petition advocacy group built up its lists running campaigns on a series of progressive hot-button issues. With members hungry for political change running up to the 2015 election and having also been exposed to the Ganz leadership model, the group began experimenting with distributed organising and offline political activities in one key Vancouver district. Here, they hosted recruitment events drawing from their online base and organised teams to do door-knocking and door-to-door surveys. Having successfully piloted a scalable organising model in one location, they deployed teams to a number of swing ridings across the country and focused on consolidating the progressive vote to oust Conservative Party candidates. In the end, the organisation’s efforts helped unseat Conservative candidates in 24 of the 29 ridings where they backed alternative candidates. Price’s explanations and anecdotes on Engagement organising make for a compelling read and should be of particular interest to strategists in digital-first and big-list organisations looking to get beyond petitions and light calls to action. Judging from the case studies presented throughout, such groups could gain significant power from deeper engagement with their base and getting back to effective organising is no longer the slog it used to be.